For the following tutorial we’re going to need an installation of Maven and of course – the Java Development Kit! We want to make our life as easy as possible and there is an interesting archetype for ejb-components available: org.codehaus.mojo.archetypes:ejb-javaee6 ..
Now we just need to add the dependency for the embedded GlassFish server and the Java repository to our pom.xml. It is important to add the dependency for glassfish-embedded-all as the first dependency to the list (-> Troubleshooting)! Create the EJB to deliver a list of all available UserBeans named UserEJB .. a simple @Stateless annotation is enough to make this bean a stateless Enterprise Java Bean ..
Now that we’ve got all our classes together we should test their functions and the wiring in the EJB container. This is where the new embeddable EJB Container API saves our lives. So what’s happening here? First we’re starting the embedded EJB Container, lookup the UserEJB via JNDI and assert that the user information we were looking for is present via the EJB. “java.lang.ClassFormatError: Absent Code attribute in method that is not native or abstract in class file javax/ejb/embeddable/EJBContainer“ – I got this error when glassfish-embedded-all was not the first dependency in the dependencies list in my pom.xml – changing the order helped ..
2015-03-21: Links to Arquillian articles added. This entry was posted on Saturday, January 1st, 2011 at 3:29 pm	and is filed under Java. You can follow any responses to this entry through the RSS 2.0 feed. You can skip to the end and leave a response. Pinging is currently not allowed. Hmm, nice post, once again this is posted as working code – I must really have a problem somewhere! If I try to use your code as-is, I get a stream of WebDeployer NPEs. Strange how the simple method seems to work for others . . . explanations welcome! OK I think it is because of my glassfish config, I am using an embedded derby too . . . Thanks for mentioning your problem :) One early build of mine failed without the definition of EJBContainer.MODULES creating the embedded container and I found the same solution for this problem on stackoverflow but I’m not sure yet why it failed ..
I’ve been struggling lately getting some existing EJB’s to work using embedded GlassFish. It turns out it must be because they implement an interface. 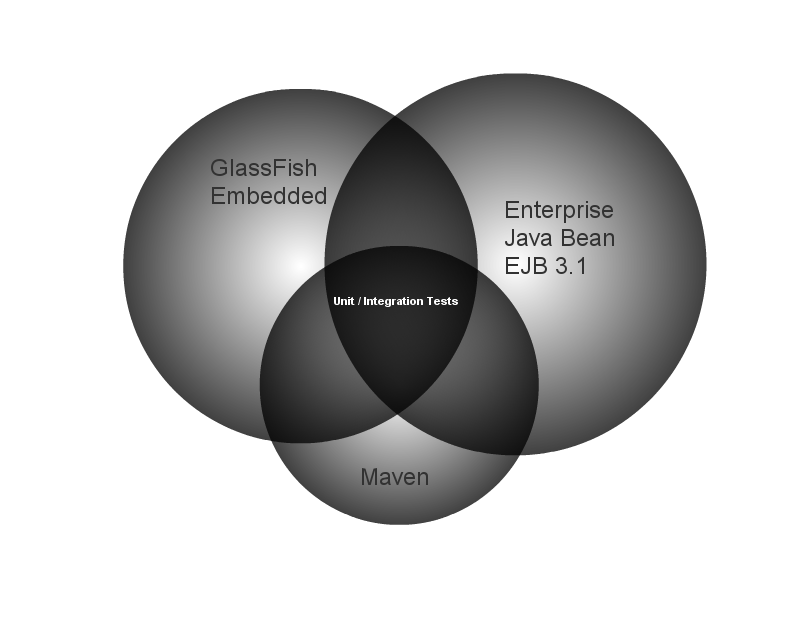 I tried to download your “Enterprise Java Bean/EJB 3.1 Testing using Maven and embedded Glassfish” and modify it to let the EJB implement an interface, and even your test fail then. Do you have any experience testing EJB’s which implement an interface? Any clue or any experience? Perhaps you need to modify the JNDI lookup in the test class … I have modified my tutorial like this: UserEJB implements the interface UserEJBRemote where I just used extract method pattern ..
Little mistake at the end of the class UserEJB, add ‘user’ twice.